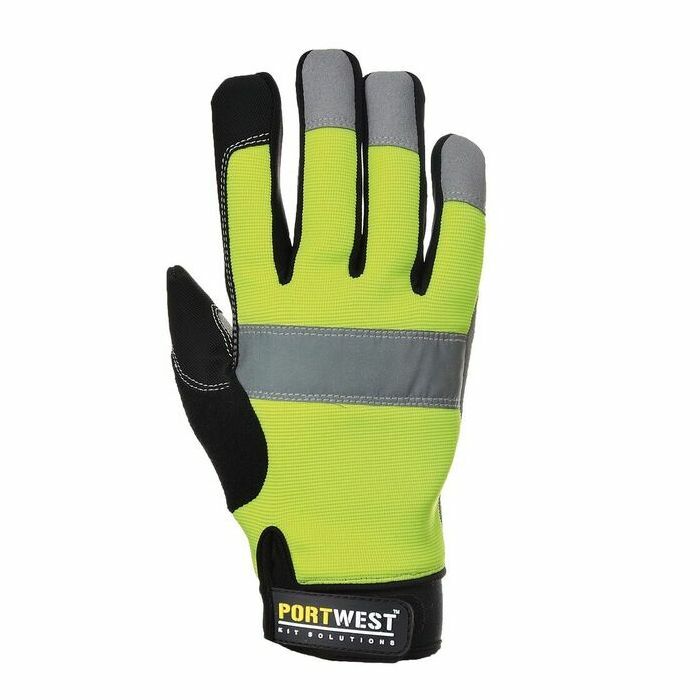 With tough synthetic leather to protect against heavy duty risks and a high visibility colour scheme, the Portwest Heavy-Duty Leather Tradesman Hi-Vis Gloves A710YE are ideal for use in high risk, dimly lit environments. 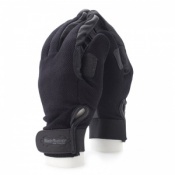 Designed for comfort, the gloves feature a sweat wipe that reduces hand fatigue and a comfortable inner liner making them perfect for extended use. 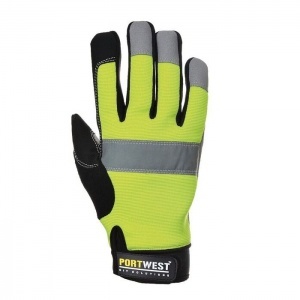 Specially developed for use in heavy duty environments, the Portwest Trademan Hi-Vis Gloves offer surprising versatility thanks to their flexible and dexterous elastane and rubber coat. 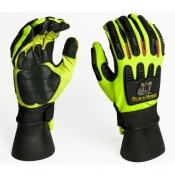 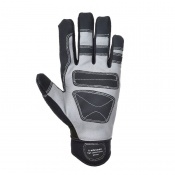 With reinforcement stitching on the palms, fingers and thumbs, these gloves are designed to withstand high risks in a wide range of different environments.